If you exceed the bandwidth included with your hosting service, you will automatically be charged for any overages at a rate of $0.15 per gigabyte (GB). 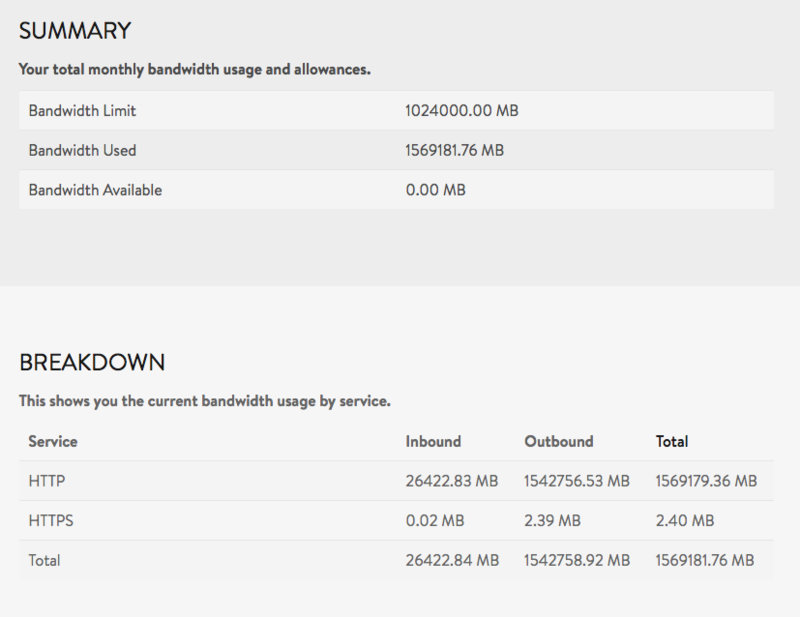 Please note that we constantly monitor the bandwidth usage of every client on our network. Once our bandwidth monitors have projected a potential overage for your hosting service you will automatically receive an email notification containing additional details. You may also view a report of your current and projected bandwidth usage during any billing cycle directly inside the AccountCenter.